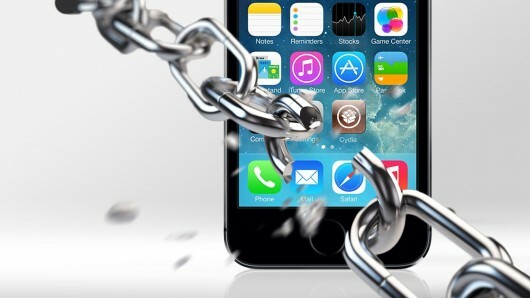 Home » » Is jailbreaking an iPhone or iPad safe? For millions of happy users all over the world, the iPhone is fantastic just as it is. It's beautiful, elegant and easy to use, and there are thousands upon thousands of apps and oodles of content for them to choose on the App Store. And then there are the people who aren't so happy. People who want to break free of the restrictions they believe Apple has forced upon us all - from the default apps that come with iOS to the fact that its underlying structure cannot be customised by individual programmers, third-party developers or even users themselves. These unhappy people are the jailbreakers. And Apple has been playing a cat-and-mouse game with them ever since the iPhone launched in January 2007. It's easy to understand the jailbreakers' frustration. On the Mac you can pretty much do whatever you want to customise your day-to-day experience with the hardware. If you don't want to use Mail for email or Safari for surfing, you can download alternatives such as Sparrow or Firefox instead. Heck, you can even set them to be the default apps if you want, enabling you to ignore Mail, Safari and Apple's other apps altogether. This isn't the case on the iPhone. While many great alternatives to iOS's default apps do exist, you'll find that iOS always reverts to the defaults for certain things. Try clicking on an email address or a URL in an app, a document or web page and Mail and Safari will almost always boot up first, no matter which other alternatives you use. Some third-party apps do offer the ability to open addresses in Google Maps rather than Apple Maps, but support has to be manually added and it's not system-wide. Jailbreakers are frustrated by other things too: the fact that you can't do simple things like change the iPhone's default look and feel or install apps other than those available from the iOS App Store. If you're brave enough or wise enough (or foolish enough), you can easily tinker with the underpinnings of macOS using things like Terminal or rummaging around in the Library folder. No legitimate equivalent for users exist in iOS. You can only do what Apple lets you do. Unless you jailbreak your iPhone, that is. In this article we're going to examine jailbreaking and the reasons for and against jailbreaking an iPhone or iPad, to help you decide whether this is the right course of action for you and your Apple device. Jailbreaking is different to iPhone unlocking. iPhones (like all mobile phones) that are sold as part of a contract are often locked to a particular network. This means that if you buy an iPhone from O2, for example, you have to use an O2 SIM card in it. The iPhone is 'locked' to that network. You can tether your Mac to your iPhone and bypass your networks' Mobile Hotspot feature, which is often severely restricted and/or expensive. The way you jailbreak your iPhone depends on which version of iOS you're running. (Brand-new versions of iOS generally cannot be jailbroken for some time after they come out. Jailbreakers will work hard to find a way to get round the new safeguards and restrictions that have been placed on the new software.) There are plenty of instructions and resources online that can help you.